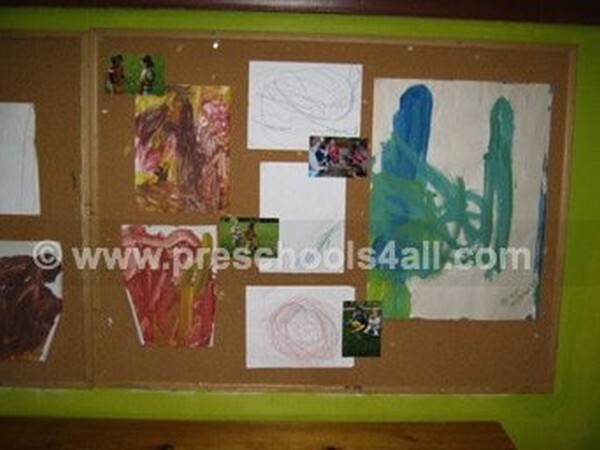 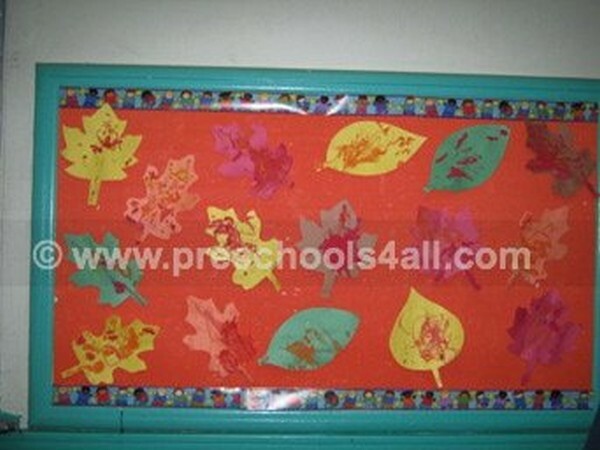 October bulletin boards change quickly. 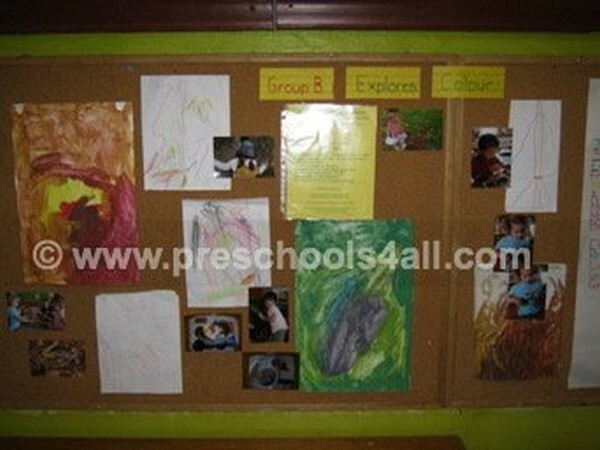 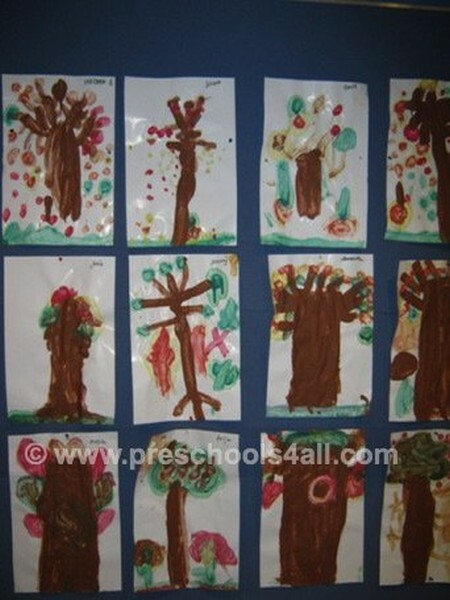 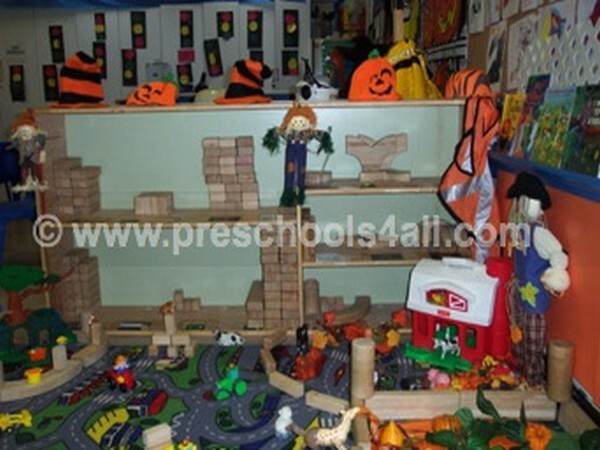 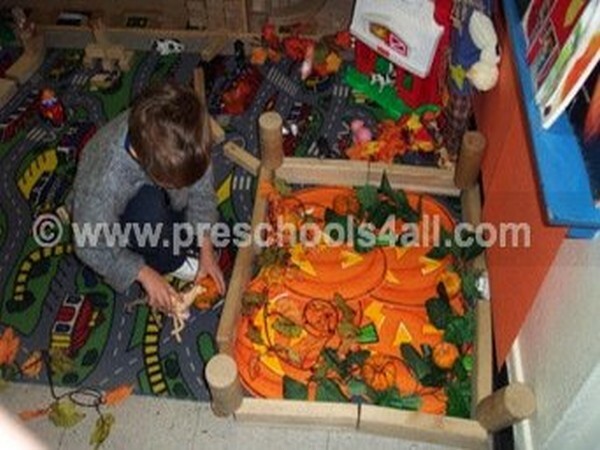 There are so many exciting themes to teach the children and explore together. 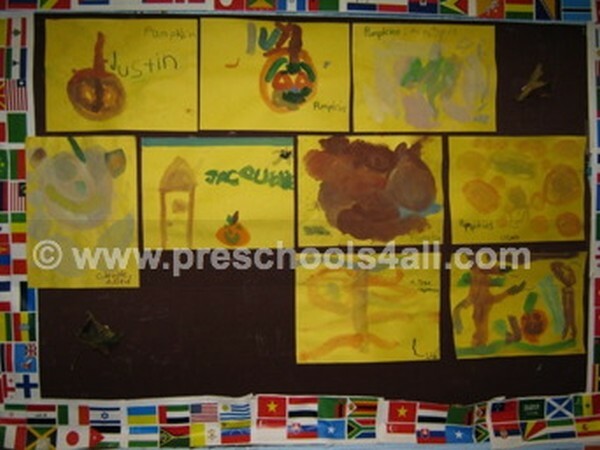 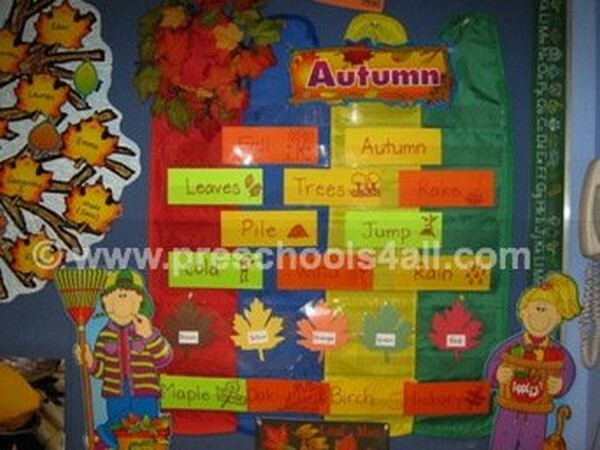 Beginning with the change of season to fall along with learning about colors we move on to Halloween and some Thanksgiving bulletin boards. 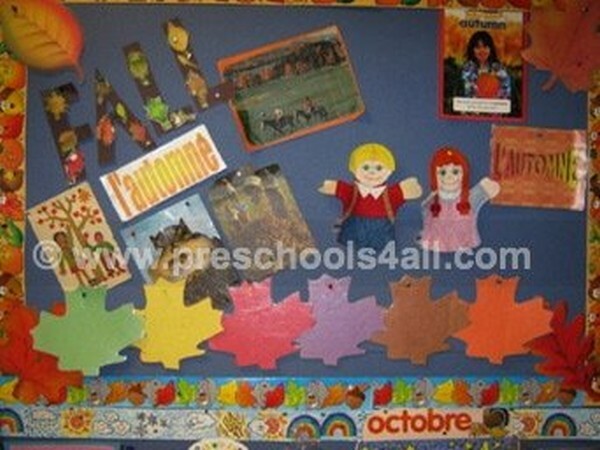 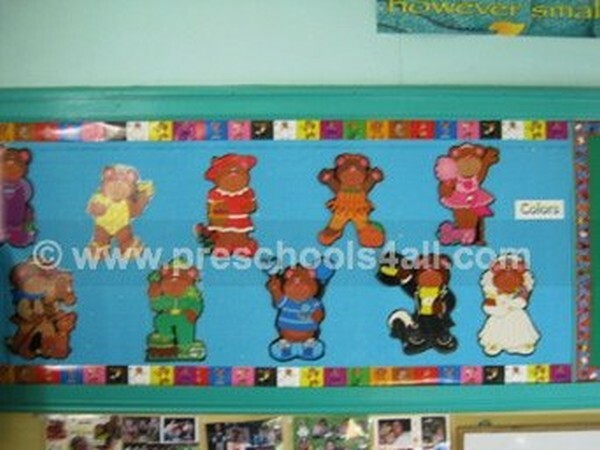 The October bulletin boards on this page were created by myself and my colleagues. 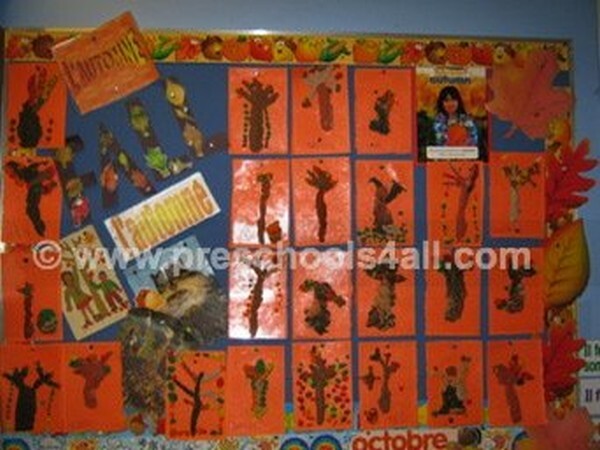 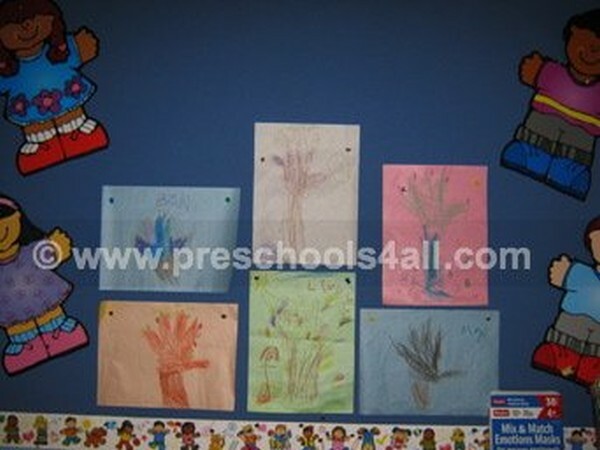 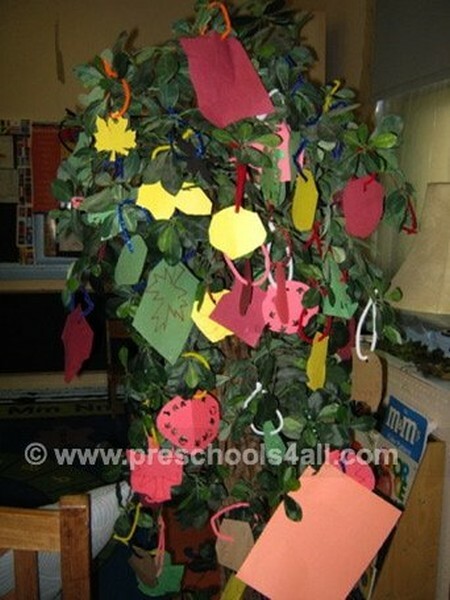 Fall leaves decorated by the children. 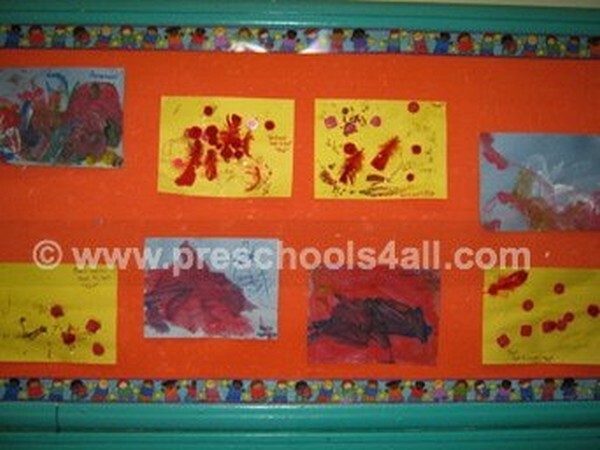 Exploring colors through observations and experimentation. 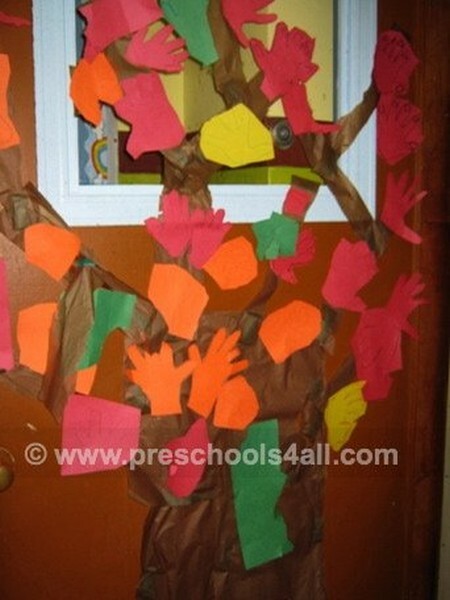 My son's teacher shared the children's favorite color with the rest of the group.